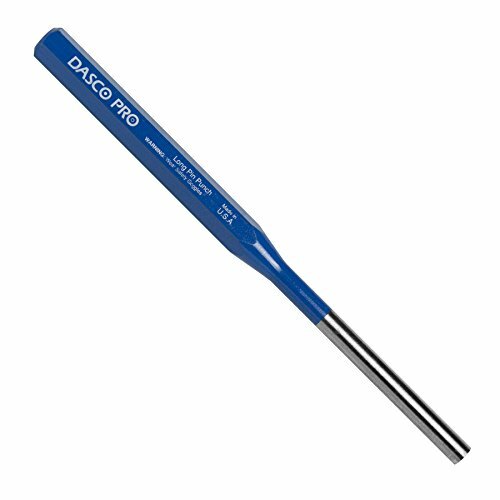 Dasco Pro Long Pin Punches are specifically designed for removing pins and keys in work area where extra length is needed. The punches are machined to exacting standards for years of reliable, durable service. Dasco Pro, Inc. offers a broad range of forged hand tools used for carpentry, masonry, and demolition. Our 89 year legacy brand incorporates time tested design, superior materials, and distinguishing technology. Construction professionals, home improvement enthusiasts and hobbyists alike ask for Dasco Pro striking tools because quality tools equal quality work. If you have any questions about this product by Dasco Pro, contact us by completing and submitting the form below. If you are looking for a specif part number, please include it with your message.